Like the X-15 and X-16 before it, the X-17 continued to test radical airframe layouts to enhance maneuverability at low speeds. 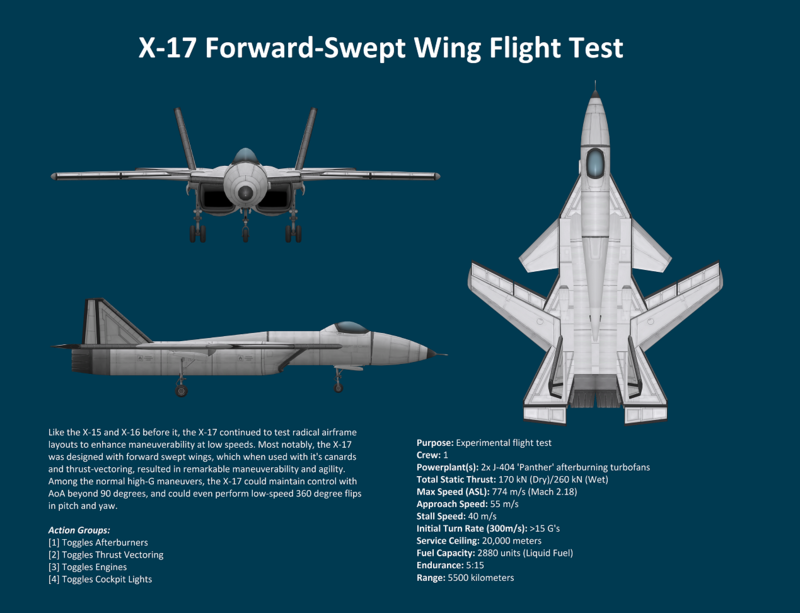 Most notably, the X-17 was designed with forward swept wings, which when used with it’s canards and thrust-vectoring, resulted in remarkable maneuverability and agility. Among the normal high-G maneuvers, the X-17 could maintain control with AoA beyond 90 degrees, and could even perform low-speed 360 degree flips in pitch and yaw.